All leather with 3 zipped compartments, the 3rd is on the top. 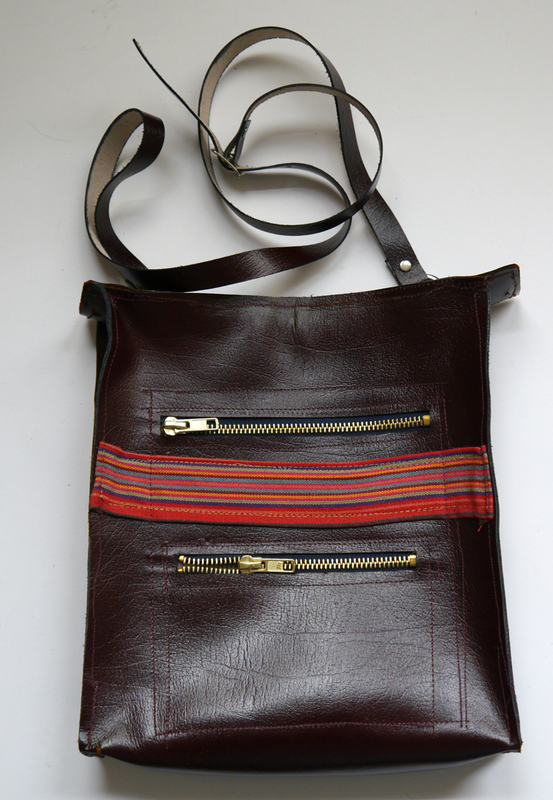 Dimensions 10 by 9 by one and half inches with a shoulder strap with a buckle. 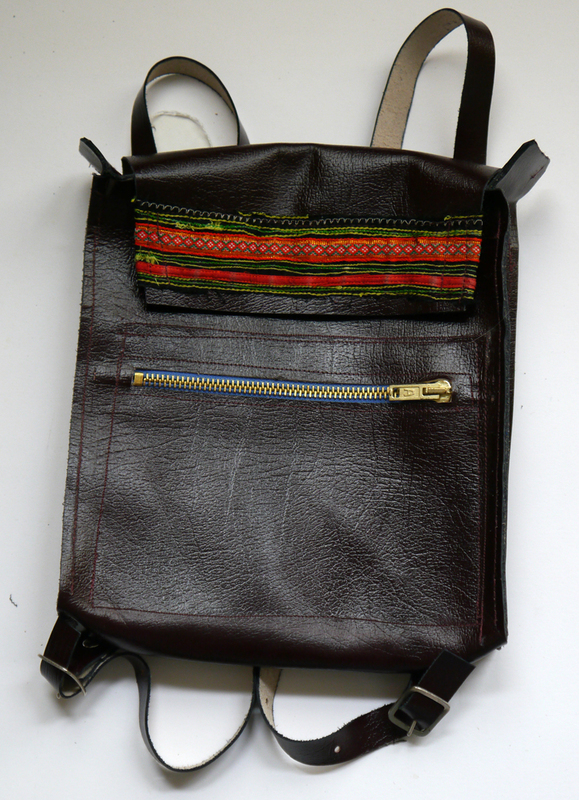 This one is a mini backpack with 2 zipped compartments, the top one is under the flap which is held with magnetic catches. Dimensions 8 and a half by 7 and a half by 1 and a half inches deep. 2 adjustable leather straps. Variations in size and style are available to order, please enquire via the contact page.